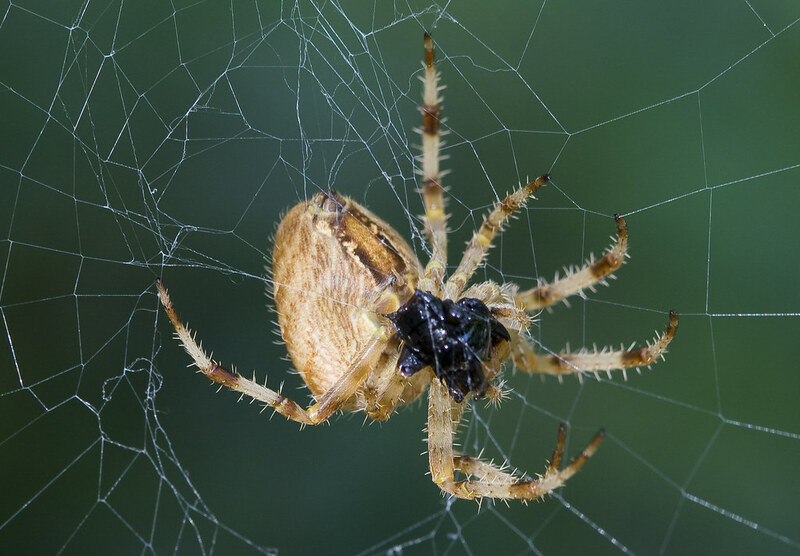 Jonstraveladventures: Arachnophobes need not apply! I'm only providing a link to this photo, taken today in the Alameda, as I'm aware that certain family members may boycott this blog if I post it directly. I'm enjoying the new macro lens a lot! 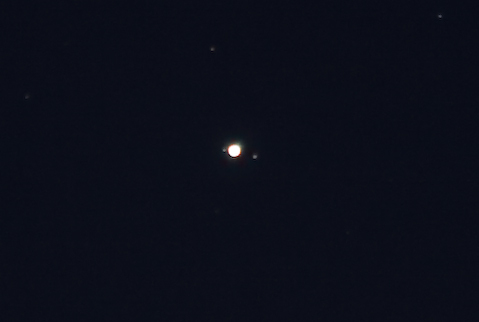 I will however post this, simple but pleasing picture of Jupiter and two of its moons, taken as a four second exposure out of my window on Friday night. Note that the 100mm lens does not produce much magnification, but with 10 MPixels, one can crop sufficiently close to get pretty impressive detail. More photos from today can be found here. Pretty neat image of Jupiter! I have indeed considered it, looked at my wallet, and promptly dismissed it as a long distant fantasy. I appreciate the thought a lot - only problem is I saw the headline, saw the picture simultaneous on my reader, and then didn't want to read the post! Perhaps your flickr stream isn't safe anymore? Well, with this new lens I would therefore advise watching my flickr stream with eyes hidden behind several fingers...for the time being anyhow - I'd be sad if you unsubscribed purely because of the huge eight legged fanged hairy creatures I happen to post occasionally. Some awsome snaps with the new lens Biscuit! Just popped my ones from the visit up on Flickr - check 'em out. Really nice picture, but are you sure these are jupiters moons? They should be a little brighter than the fixed stars behind, but they aren't. I'm pretty sure yes, they are in the right line with Jupiter, at a reasonable distance, and are of similar brightness to other photos I've seen of them using such optics. Why they should be brighter than the other stars in the photo?